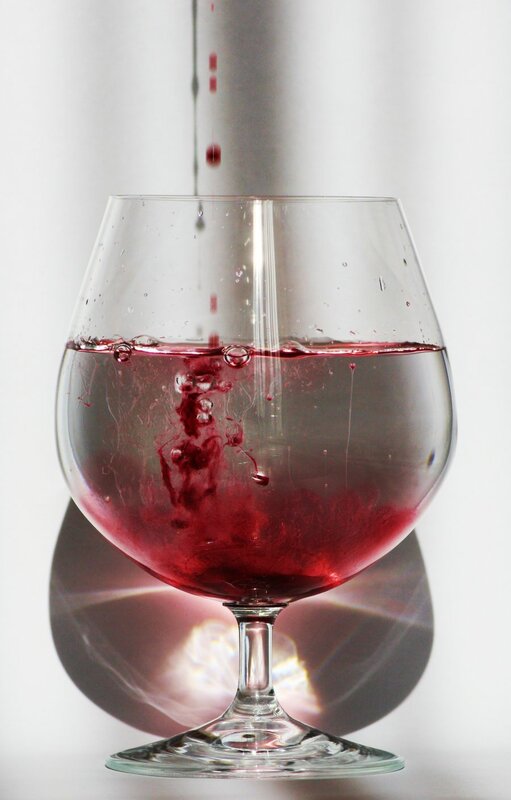 Is my water being turned into wine? Trouble was brewing at the wedding. A very embarrassing and humiliating situation was about to shatter the joyful celebration of the bride and groom and their families. And since the wedding arrangements were the responsibility of the groom’s family, it could result in the bride’s family suing the groom and his family. Before the wedding guests could become aware of the wine shortage, Jesus’ mother, Mary, told him about the problem. The Gospel of John tells us that she, Jesus, and five of his disciples were guests at the wedding—which raises the question as to how or why she knew about the problem. New Testament commentator William Barclay points out that one of the Coptic gospels from Egypt states that Mary was a sister of the groom’s mother, and that other early sources identify the groom as the disciple John, whose mother was Salome, the sister of Mary. Such family ties and threat to the family’s reputation would undoubtedly give Mary reason to seek the help of Jesus in solving the problem. Jesus’ response to his mother, “Woman, what concern is that to you and me? My hour has not yet come,” though seemingly rude to our modern ear, is not necessarily so. It was more a way of distancing himself from Mary as her son (Mt. 12:48; Mark 3:33), for he was about to embark on his journey towards the “hour” of his death, resurrection, and ascension as the Messiah. Not put off by his reply, Mary told the servers, “Do whatever he tells you.” She most likely did not have any idea what he would do or how he would solve the problem, but she was confident that he would. Jesus’ presence in the midst of the wedding festivity reminds us that he wants to share in our happy occasions; he was not a killjoy or sourpuss, and neither should we be. We should always celebrate life in a way that reflects his joyful presence. Mary’s willingness to bring her problem to Jesus without knowing how he would solve it reminds us that we, too, should come boldly and confidently to him in prayer, yet without any preconceived notion as to how he will answer our prayers. 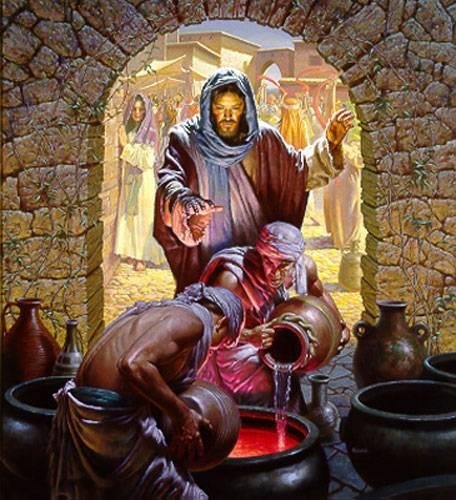 The enormous amount of wine is more than could be drunk at a wedding, and must be seen, not simply as a miracle of water being turned to wine, but as Jesus’ superabundant, extravagant, inexhaustible grace that meets our deepest needs and transforms our lives—“for from his fullness we have all received, grace upon grace.” (John. 1:16, ESV). This grace must also be seen in the context of verse 11 that tells us that this miracle was the first sign of his coming glory, a term that John uses in reference to the life and ministry of Jesus (John. 1:14; 11:4; 17:22, 24), and to his death, resurrection, and ascension (John. 13:31, 32; 17:5) in order that he might save all who believe in him. As with his transformation of water into wine, so can his superabundant, extravagant, inexhaustible grace transform each of us from perishing to saved, from sinner to saint, from ordinary to extraordinary, from pedestrian to remarkable, from uninspired to inspired and inspiring! Thanks for the great info about Mary being the groom’s aunt and that the groom may have been the disciple John. Good stuff as usual. God bless you. Blessings to you, too, Larry.